At K.R. MANGALAM, the parents of the students play an equally important role as teachers in the positive development of the child. Parents are a big human resource for the school. With their varied life experience and fields they are working in, parents work hand in hand with the school authorities helping the school to progress manifold. We , at K.R. Mangalam World School, Vaishali leave no stone unturned to tap this ocean of potential. The Parent Teacher Meetings are a forum for parent interaction and participation in most of the schools but our association is much beyond this formal forum. The parents are an intrinsic part of our school activities. 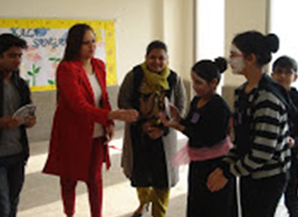 Class presentations, special occasions like Annual Day and Sports Day cannot be imagined without the involvement of the parents. The parents and school are intertwined to make the events successful. 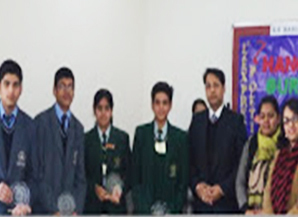 The school conducts Intra-Class Competitions, Inter House Competitions, Inter School Competitions regularly. 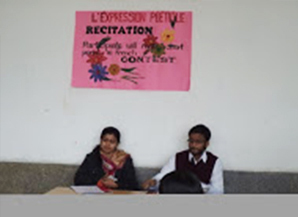 The parents contribute in conducting the events as well as judging the events. Many workshops for students and parents are held in school. 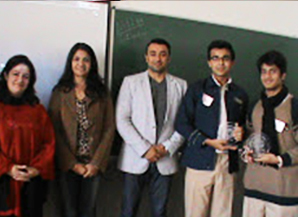 The workshops are relevant to the age group like adolescence issues, stress management, mathematics phobia etc. are cunducted. Since the school has a pool of career experts who are in the field to guide and counsel the young adults, we do not let go the opportunity. 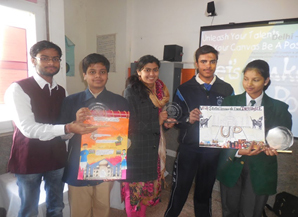 Career Fair is a regular feature of the school during which renowned psychologists and parents from different fields interact with the students giving them the right feedback related to various options available. Parents contribute their own knowledge and skills at all levels, to assist in the child’s learning and to support the school’s goal of “Together Towards Tomorrow “.